A troubled Cumbrian school, which has seen strikes over the state of crumbling classrooms, is to be rebuilt. The government has pledged an estimated £20m to build a new school on the site of the existing Whitehaven Academy. The school, which was put into special measures in 2016, acquired a new sponsor - the Cumbria Education Trust (CET) - in September. Demolition work is due to start early next year, with the new school up and running by mid-2021. CET chief executive Lorrayne Hughes, said: "The run-down condition of the existing buildings has proved to be detrimental and disruptive to teaching and learning and we are delighted that the new school will provide additional capacity and a modern inspirational place to learn. "This will have enormous benefit for both current and future generations of Whitehaven children as well as members of the community who will also be able to use some of the facilities." Academies Minister, Lord Agnew, added: "It is fantastic news that the Whitehaven Academy will have an entirely new building, offering a fresh start for the school. "This is the best use of resources to provide a much improved learning environment for pupils and staff." Details about how the academy will operate, the number of classrooms and its range of facilities will be announced later. The CET said it had carried out works to ensure the school is "safe, dry and warm" and has also invested in a new IT system. 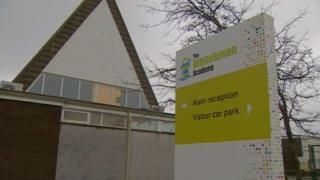 The academy's previous backer, the Bright Tribe Trust, was criticised amid concerns it was not properly maintaining the school. Members of the NASUWT, ATL and NUT took part in two strikes in early 2017 over the way teachers were being managed and the working environment within the school.